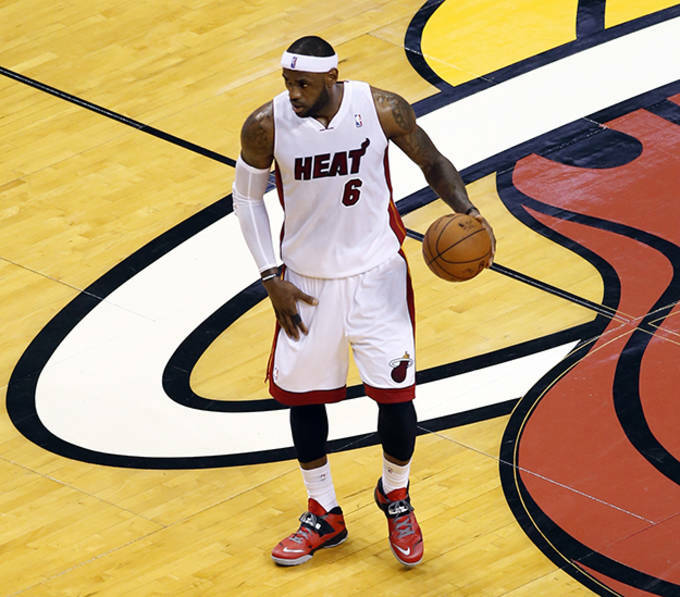 LeBron James is going to get to the rim whenever he wants. He&apos;s just that good. 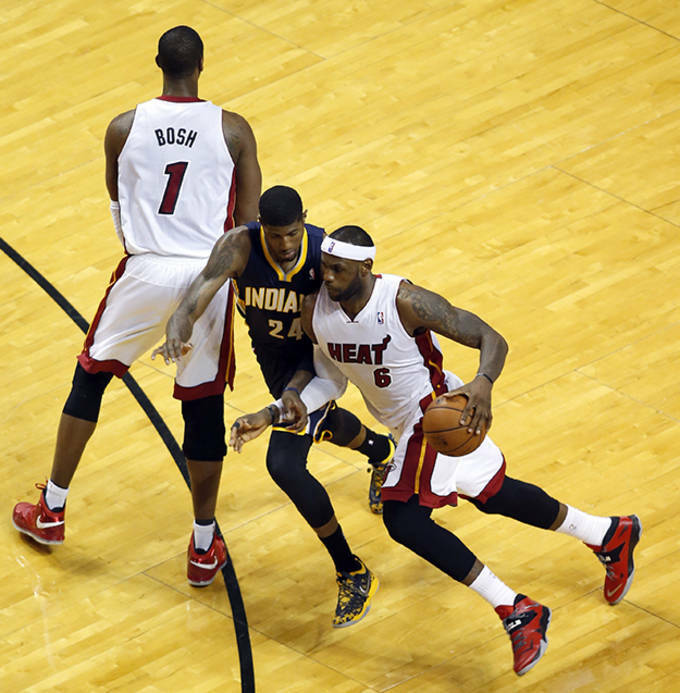 Despite playing against the league&apos;s top defense, King James got to the rim again, and again, and again in Miami&apos;s 102-90 victory over the Pacers. He finished with 32 points, 10 rebounds, and 5 assists with some nice forays to the rim against Indiana&apos;s vaunted defense. 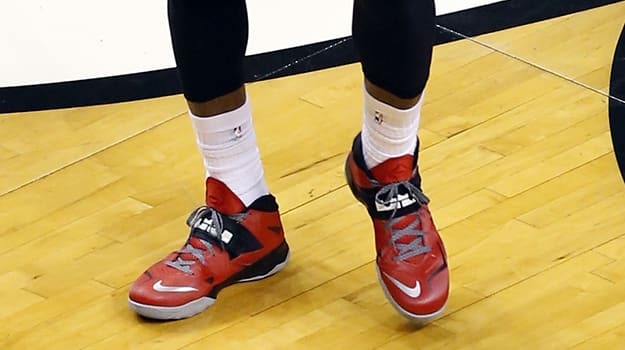 James wore a red and black PE of the Nike Zoom Soldier VII that he&apos;s consistently worn a few times in the past few weeks. 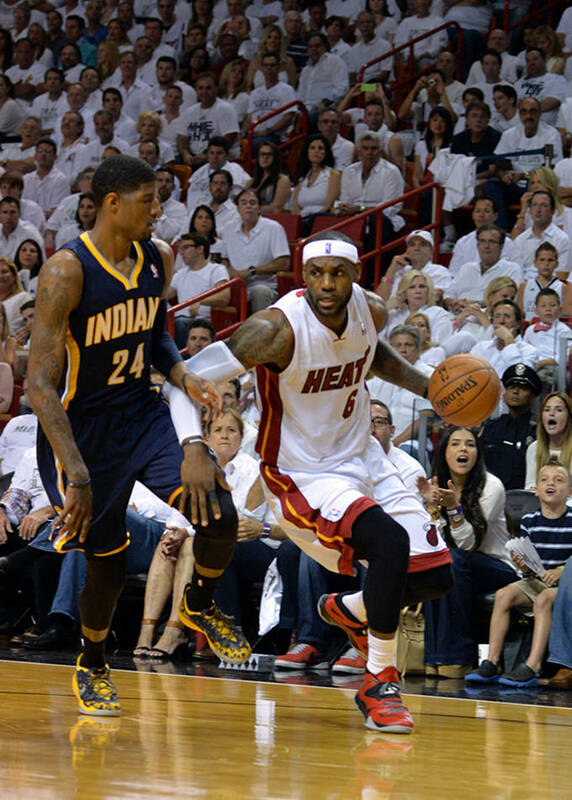 Will he be returning to the Nike LeBron XI Elite during the NBA Finals?